Are you feeling a bit strange? Do you think that you are experiencing the early signs of pregnancy? The only way to accurately confirm whether or not you may be pregnant is by using a home pregnancy test, which can be purchased online or in stores nationwide. Pregnancy can be confirmed in other ways, as well. However, most approaches involve a visit to your family medical doctor. Home pregnancy tests are mostly similar to one another, in that they work by checking for the presence of the human chorionic gonadotropin (hCG) hormone content in a woman’s body, by testing her urine. The hCG levels increase rapidly over the course of pregnancy, and especially in the first trimester. As days pass by for pregnant women and hCG multiplies to increasing levels, pregnancy tests become capable of detecting the hormone, resulting in a positive or negative result. False reading in pregnancy tests is commonly experienced, especially when a home pregnancy test is taken very early in the first trimester. These false readings can be avoided by waiting about a week after a missed menstrual cycle, before taking a home pregnancy test. Some women are fortunate in that they do not need to take a home pregnancy test because they only feel the most common pregnancy symptoms, such as chronic exhaustion or morning sickness. A visit to the doctor to confirm is all that they require. Other women, however, do not feel any morning illness or other effects of early pregnancy and need to confirm why their menstrual cycle has been missed. Another group of women who require the use of home pregnancy tests include those who are on birth control but still experience morning sickness, a missed menstrual cycle, tender or swollen breasts, or light bleeding or spotting. It is important for women who are taking birth control, and think they may be pregnant, to discontinue the use of their birth control right away before testing themselves with a home pregnancy test. Some birth control methods can have severe and adverse effects on an unborn fetus, and can even cause congenital disabilities, or a fatality. It is a fact that not all women are excited about getting a positive result – this is why means are being introduced to promote a more accurate approach to the home pregnancy test while remaining convenient and affordable. As the demand for home pregnancy tests increases, new and innovative types of tests are being introduced by manufacturers. Home pregnancy tests can vary in effectiveness, and in price, so it is helpful to go through the most common considerations in choosing the best home pregnancy test. A home pregnancy test can be either branded or generic, and both are accompanied by pros and cons. Most women prefer branded home pregnancy tests, as these are proven and come highly recommended, from known manufacturers. Generic home pregnancy tests, however, seem to have also demonstrated their ability to read results accurately, and they come at a lower price, making generic tests a better choice for some women. In weighing the advantages and disadvantages, the choice between a brand name test and a generic test comes down to personal preference. Those hoping for a faster or more accurate result may want to invest in a brand name test. Those who are tight on budget, however or those who are not concerned with immediate results could benefit from saving money, and purchasing a generic test. 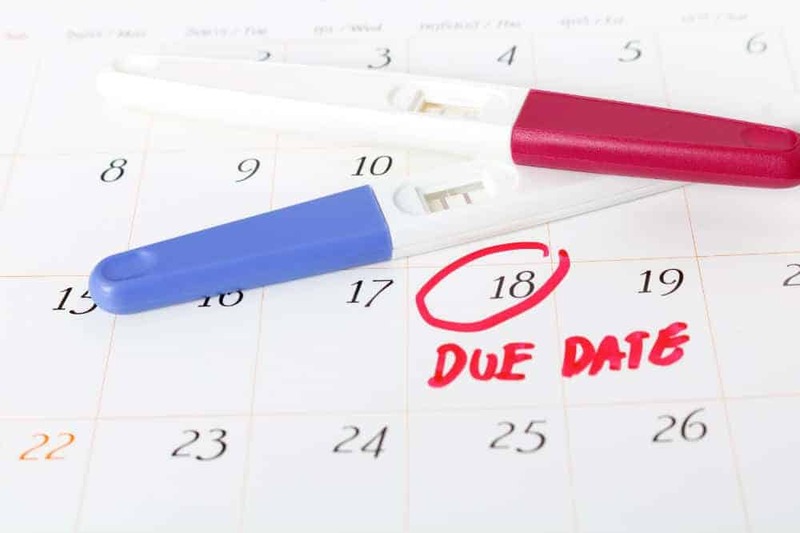 Women who are considering buying a generic test, however, need to remember that they are only recommended after seven days of a missed menstrual cycle. When choosing a brand name test, it is always helpful to look at actual reviews to see which brands come more highly recommended. Trusted experts and those who have had a first-hand experience, can offer valuable insight. When buying from a drugstore, it doesn’t hurt to ask the pharmacists opinion as pharmacists often have recommendations based on their knowledge and pharmacy sales. Asking an experienced friend or family member, or someone who has experienced pregnancy can also be helpful. Women also have the option to choose whether to buy a home pregnancy test that features a regular or digital display. The traditional home pregnancy tests display either one line or two to represent the reading. If a clearer or more advanced result is required, digital is recommended. Both types of test will present the same results, but the digital option is always more expensive. Home pregnancy tests come with specific instructions, so it is important to buy one that is easy to understand and use. Clear and straightforward instructions ensure limited confusion, and will also possibly eliminate the chance of a false reading due to human error. One of the most significant differences between varying home pregnancy test options is the speed in which the results are displayed. Some tend to show the results faster, while others can take several suspenseful minutes. Speed is an important consideration for all buyers who value a result that is just as fast as it is accurate. Cost is always an important consideration. Consumers often think that the higher the cost, the better the quality. Some, however, believe that prices are only higher when brands are more popular and highly marketed. The cost of a product should be carefully evaluated. Nobody wants to spend additional funds, especially when a baby may be on the way. That said, home pregnancy tests if properly used, should not break the bank. If a home pregnancy test is more expensive but comes from a known and credible brand or manufacturer, features ease of use and guarantees accurate and quick results, then it is probably a good buy. 1. Do not take the pregnancy test too early, to avoid false results. 2. Take the pregnancy test in the morning, for a greater presence of the hCG hormone. 3. When in doubt, purchase multiple tests. 4. As soon as a positive result is received, arrange for a visit with a medical doctor. Taking a home pregnancy test can be both exciting and intimidating, but it is always best to confirm any suspicions of pregnancy sooner rather than later, for the health and safety of both the mother and the child.